One of the reasons so many people fail at the interview with the American Embassy is that they don’t know what questions to expect and even if they do, they are too nervous and busy being afraid to the point that they miss the question, don’t understand and then give off-the-point answers. Now before I tell you the answer this fellow gave, let me give you a back ground of this fellow, he was a banker, trying to visit the USA on holidays with his wife, so he had money, he had a job to return to and he was comfortable in Nigeria, so there is no reason why he shouldn’t get the visa. You know the answer he gave the US Consulate officer?? He said: “I studied Economics in University”. My jaws dropped! Your own jaws dropped right? Because you know that wasn’t the answer to the question. And the funny thing was that the US Consulate Officer asked the question a second time to give the guy a second chance, but he repeated the same answer. Needless to say, he didn’t get the visa. Yes, little things like listening to questions and interpreting questions correctly will affect your ability to get that visa at the interview. So prepare yourself, practice your answers, listen attentively, (go and see two or three American movies to catch up with their intonations and pronunciations if you have to) because you must understand and interpret correctly the questions they will ask you if you want to set foot in America. What I usually advise is that you have a 3 or 4 line sentence that summarizes what you do and position it as exciting fun and interesting. For example, when I was asked: what do you do? I told the officer what I do. I said to the officer I am an entrepreneur who has spent the last seven years of my life building 5 companies and one brand. Each company name gave full insight into the details of my daily business life. Then I began to name each company and what each company does. By the time I was done, the officer was intrigued, and found my life interesting. So why would I want to leave my interesting life to go an wash dishes in America or end up a fugitive and throw all my years of hard work away?? You have to give strong reasons for them to believe you are coming back to an interesting work, job or business when you are answering that question. In fact you know what? During the interview, most of the time it was the applicants asking officers to repeat their questions but in my case, the officer asked me (the applicant) to repeat my interesting story of what I do for a living. Listen, turn your interview into an interesting conversation with the officer and you are half way to victory with your visa. The fellow who missed the question earlier, missed the opportunity of holding an interesting conversation with the officer when the officer asked him what his favourite course was in the university. This fellow should have gone on and on and on about how he loved a particular course in University, do some small talk about the lecturer of that course and why he liked the course, but he missed the opportunity because of fear and anxiety. Question 2: How much do you earn on the average monthly? Do your mathematics before you go for the interview. If you are an employee, it is pretty easy, you know how much you get paid by your boss or company at the end of the month. If you are an entrepreneur, it is a little bit more complicated. The company’s sales are not your income so don’t go and quote your daily sales. Your best option as an entrepreneur is to minus all expenses, including taxes, salaries (if you have any staff), rents, etc., subtract all expenses from your income, then set aside 15% as savings for company projects, then the rest you can state as profits. You can have a simple personal income statement which you help you do all the calculations to arrive at your average monthly income. If you are an employee, and you have other sources of income which you can prove with documents, then it is advisable you also have a personal income statement where you identify all your sources of income to give a total tabulation of your average income monthly. It is the figures that you tabulate on your personal income statement that represents your average monthly income. So, when the officer askes you, you can quote this figure, ensure it is not inflated, it is traceable through documents, bank statements and or receipts, invoices, etc. Whatever the case, lying does not help. There was another fellow at the interview who said his monthly income was six hundred thousand naira per month, yet he did not get the Visa. Why? He could not justify that figure, so justify your figure with proofs, don’t just go there and quote any nice figure that comes to your head during the interview. Do your homework and by that I mean that you prepare your personal income statement before you set foot at the interview venue. Please, if you say you are a forever living product seller, common sense dictates that you must know enough about forever living products to keep talking without stopping for a minimum of 5 minutes! How can you be selling something you know nothing about?! This was the down fall of a particular couple at the interview. They were going for a conference organized by FLP and the officer asked them to tell him about the products. I couldn’t believe my eyes as I watched with bewilderment as this couple struggled to explain the product they were supposed to be selling! What, are we so dumb in Nigeria?!!! Wake up! If you sell tomatoes and you are going for a tomatoes conference you had better know enough about tomatoes to hold an impromptu seminar at the embassy if they ask you to hold one! Need I say more on this issue? Question 4: Why are you visiting the USA at this time? If you are visiting in January, explain why it has to be January and not November. Hold a conversation. If you have to travel in Christmas and not summer, explain why you have to travel. My advice is that you jot down your reasons, organize it into clear statements and practice those statements before your interview. No harm in being prepared. 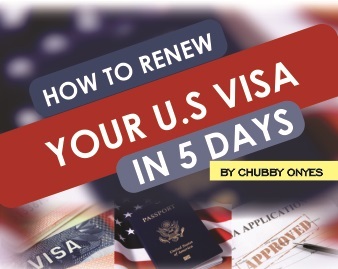 Question 5: Why are you going to the USA? It simply means what is the purpose of your trip? If you are visiting your friend, family, going for business, conference or simply going on holidays, just say so. Be clear about your purpose. This is why you should have an itinerary in the first place before going for your interview. Question 6: Who will you be staying with? If you have hotel reservations, quote your hotel name and how you intend to get there from the airport. If you are staying with friends and family, you had better know the address and how you intend to get there from the airport. At least know a little bit about where you are going. One woman was asked during the interview where she was going to in the United States, and she kept repeating:” I am going to Ibadan”. You will hear shocking responses during your interview. Come share your funny stories with me here after your interview. Any ways, just for the love of God know where you are going to be accommodated in the USA and quote the address with confidence when you are asked. Question 7: Where will you be going in the USA? This is a little dicey question which can be interpreted to mean where will you be staying or what places will you be visiting in the USA. Your best bet is, start by telling them where you will be staying, then go on to list the places you will be visiting during your stay, which brings me to why you should have an itinerary. Question 8: Who are you staying with in the USA? Give the name and address of the people you will be staying with and if it is a hotel, just state the hotel address and mention that you have pre-booked your accommodation with the hotel and have your receipts with you if they would like to take a look. Question 9: Describe your relationship with the person you are visiting or staying with? In this case, don’t just say she is my cousin or he is my brother! Puh-leeze! Explain how you are related, my mothers’ brothers’ daughter, which makes us first cousin, etc. Explain that relationship properly and you had better have proofs with you. Birth certificates, photos, etc. If the person is a friend, just say friend, had have proofs of your communication, like emails, Facebook chats, phone call logs (if you can lay your hands on any) just documentary proof that you have been in touch with each other, fairly constantly in the last 2 years minimum. Question 10: What will you do in the USA? Again, an itinerary comes in handy here, explain your itinerary, what you will do, places you intend to see, etc. Don’t go over-board; make sure your itinerary fits with your budget and present life style. If you earn N50, 000 monthly and you are going on a cruise tour that cost N150, 000 per night, you will raise the suspicion of the officer. Be moderate and let your itinerary reflect your present lifestyle and financial circumstances. Question 11: Do you plan to go for medical checkup in the USA? Unless you directly applied for a visa that will allow you for medical checkup, then your answer should obviously be NO. This is a B1/B2 Business visitor visa, so medical matters do not concern you here. Question 12: Do you plan to go on any business or do business in the United States? Unless your itinerary states you are going for business and that your business associates in the USA are aware that you are coming and have given you a written invitation to that effect, then your answer again here is a NO. please make sure you understand what this question and answer, read it again. Question 13: Do you plan to import anything from the USA while on this trip? Unless you have the right papers showing you do intend to import, your answer is NO. Question 14: How many weeks do you plan to spend in the USA? Well, tell them, if it is 3 weeks, 2 days, a month, based on your itinerary, tell them. Of course if you are employed, any one with common sense will question what organization will give you six months leave to spend in the USA, except you are a lecturer on sabbatical leave or something. What I am saying is, be reasonable with the length of time you are spending, let it reflect your life style and circumstance. Else, NO VISA. Question 15: What does your host do? What is his or her occupation? Do your homework before going for the interview. The person accommodating you, what does he or she do for a living? What is their job or work in the states? If you don’t know, ask them, because it is fetal to play dumb when you are asked at the interview. Once you are able to answer these questions correctly, then you are sure of a visa. Thank me later. 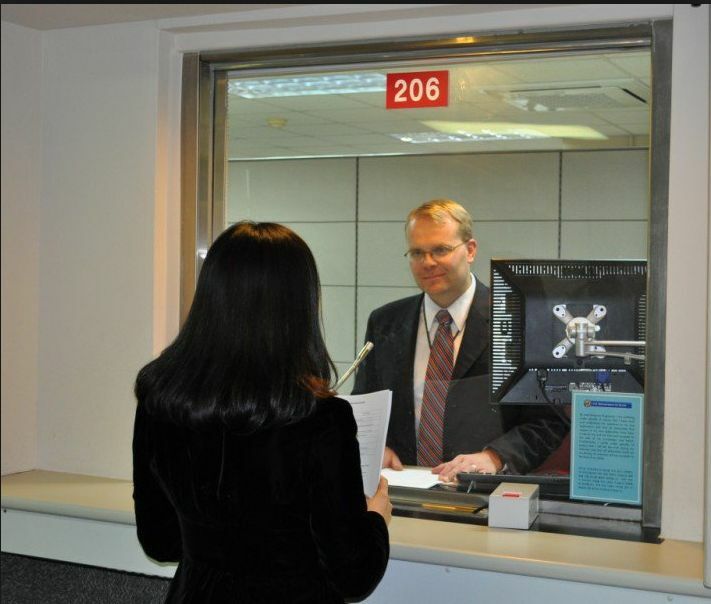 Thank you for your comprehensive guide to a successful interview with a consular. My question therefore is , would the consular ask you all these questions in one interview stand or it’s just about 6 to 8 random questions out of the 15 questions. If I have travelled to US before with my family like 2 times using visitor visa and returned to Nigeria but eventually used the visa to give birth there.on subsequent renewal,they said idid not indicate at the point of entry that i will be giving birth even though all medical bills were paid.at This time I was denied visa but all my family (including my husband and children were issued visa through drop box).what are the likely questions to expect when trying again after the denial and what reason should be given .I’m pregnant again and want to try getting visa after I was denied once 3years ago.i’m applying for medical visa this time around.i’m I doing the right thing?